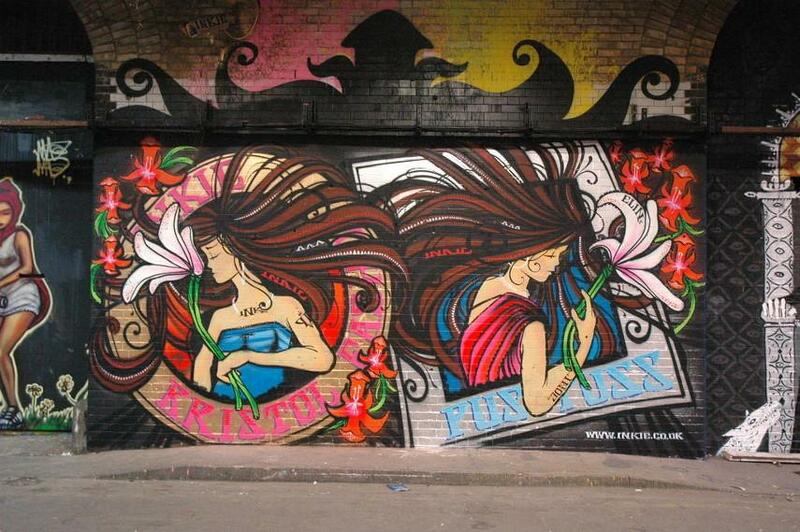 Considered a part of Bristol’s graffiti heritage alongside Banksy, 3D, and Nick Walker, Inkie has become popular for combining art nouveau influences with an urban twist. Besides making street art, he also worked as a designer for renowned game companies but also designs illustrations, prints, and clothes. His influences come from a variety of sources, both from the punk rock culture, as well as from the Mayan architecture, William Morris, Alfonse Mucha and Islamic geometry. His works have been praised and condemned at the same time, never the less, his art surely knows to leave a strong impression. 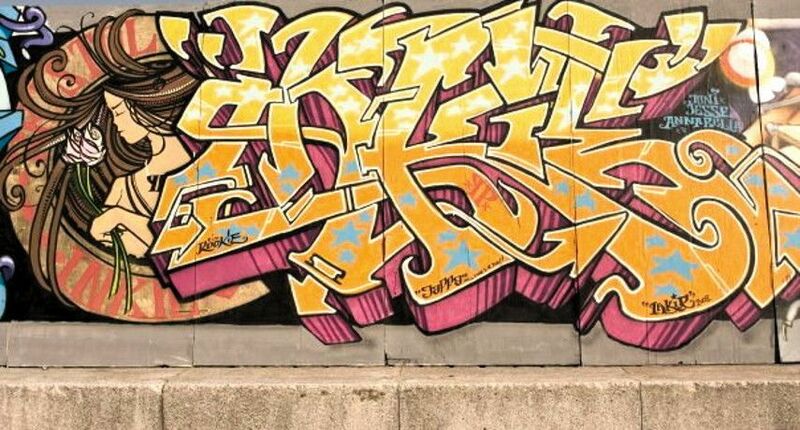 The artist originally comes from Clifton, Bristol where he began his artistic path in the early 1980’s as a member of the Crime Incorporated Crew (CIC) or the Crime Inc. crew in 1983, along with Felix and Joe Braun. He was influenced by the New York / Brooklyn artists such as Goldie and The Chrome Angels among others. For Inkie, graffiti represents a challenge that always makes him wanna do something better. Thus, as he says in an interview, street art allows his lettering and bold symbolic imagery to be recognizable. Large-scale colorful and distinctive pictures could be seen around city walls, inspired by crystals, the architecture of Victor Horta, but also by natural elements that surround the author. In 1989 the artist attended the World Street Art championship, where he came 2nd against fierce competition from all parts of Europe and US. 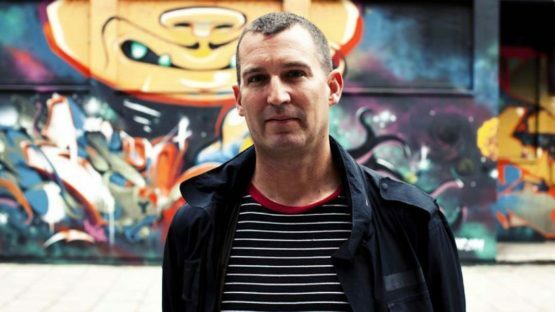 In 1989 this multidisciplinary artist was regarded as the Kingpin of the Operation Anderson, the largest UK’s graffiti bust ever, for which he got arrested together with 72 other writers. This was later documented by BBC2 in the show Drawing the Line. During the nineties, he moved to London, where he collaborated with the legendary Banksy, on various projects such as 1998 Walls on Fire event. He also participated in his Bristol: Home Sweet Home book promotion with live painting, but also in other publications like Children of the Can, Graffiti World, Street Fonts. Inkie also works in a videogame and other industries for brands like Puma, XBox, Adidas, Levis, Addict, Lovebox, SEGA, and more. His art has been published in magazines Graphotism and Dazed & Confused. He featured in the 2007 LA documentary Bomb It, as well as in British/Brazilian movie called Weapon of Choice. He teaches art and graphic design to children and students, but stays loyal to his paintings of Ink Nouveau ladies, and launches his own jewelry. Inkie’s artworks are part of collections of Robbie Williams, Jade Jagger, Fatboy Slim, Chemical Brothers and much more. He had exhibitions in Ibiza, Barcelona, Lisbon, and Warsaw just to name a few. The author lives in London, UK.